This personal assistant app from Siri looks pretty hot, not sure how laggy it is but judging from the video, it does look promising. However, not sure it’s gonna be a big hit in Hong Kong or Asia as non-speaking natives are fairly reluctant to use voice-recognition apps. This is the number one problem that bothers a lot of people especially those who have their iPad outside of US. You need a US iTunes account, you can open one with iTunes Gift Card (that is if you can get hold of some either on eBay or other auction sites). 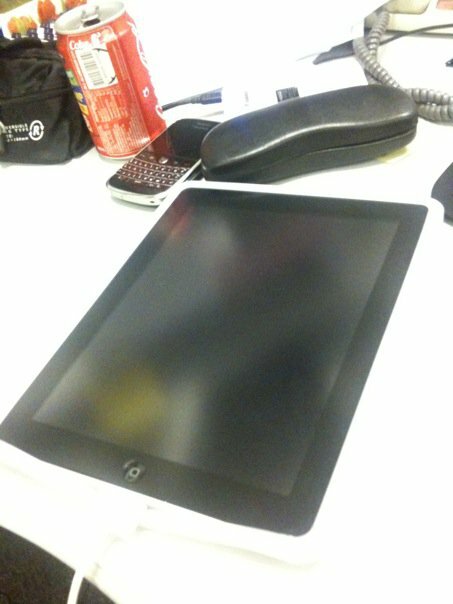 For those in Hong Kong, please refer to my earlier post, My iPad is in DA House. 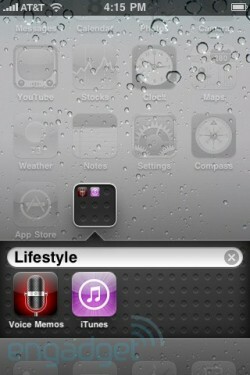 Have your iTunes on you PC or Mac powered up and logged into that US iTunes account. Then link up your iPad to your PC or Mac. Now you should be up and running. Someone asked me whether I need VPN on and the answer is no. HOWEVER, there is another glitch to this “Cannot Connect to App Store” problem. OK, this is the scenario, at least for me. I opened up a US iTunes account with the iTunes Gift Card I got from Mactivity here in Hong Kong. I can buy basically anything from the US iTunes Store as long as I have enough money credited to that account via the Gift Cards. But since I can access the iPad apps from my Hong Kong iTunes Store, I tend to buy the apps there as I do not have to use my US account credit balance (because I got the Gift Card for a premium added, a US$15 card cost me HK$180 here). OK, here comes the fun part, going back to the top of the post, say you successfully logged into the App Store on your iPad and you see two updates available for your iPad apps. Like me. the two apps probably purchased from another iTunes Store, in my case, from the Hong Kong Store. Now if you try to install the update, it will boot you back out as (1) you are currently logged into the App Store with a US account, and (2) you will have problems re-entering the App Store on your iPad. In order to get back in, go the the iPad settings, under “Sign Out” under the “Store” tab, and re-sign in again with your US account details. You should be able to log back in again. I know all this sounds too troublesome but that’s how Apple works, at least for now. Hope this helps. My new entry over at CNET Asia Community Blog is up. This week’s entry, “Microsoft Office on Windows 7 Phones Looking Really Awesome”. Click here for the full read. The anticipated new mirrorless camera from Sony will be announced next month, check out the awesome vid for now. 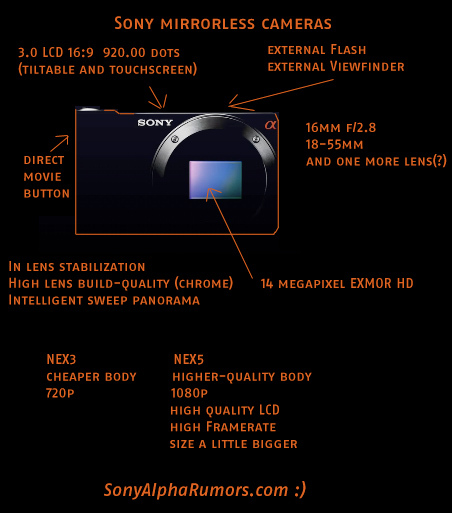 According to SonyAlphaRumors, the specs can be summarized as per the following pic, click here for the full read. Too bad they are all backordered. 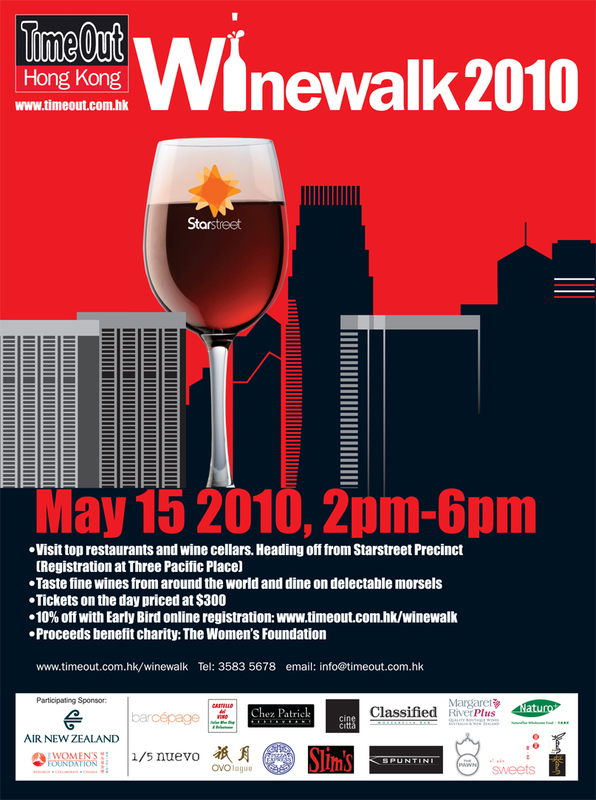 Winewalk is back! This year it’s taking place on Star Street. Visit top restaurants and wine cellars to try selections from around the world while snacking on tasty treats. Proceeds will benefit The Women’s Foundation. This just in. 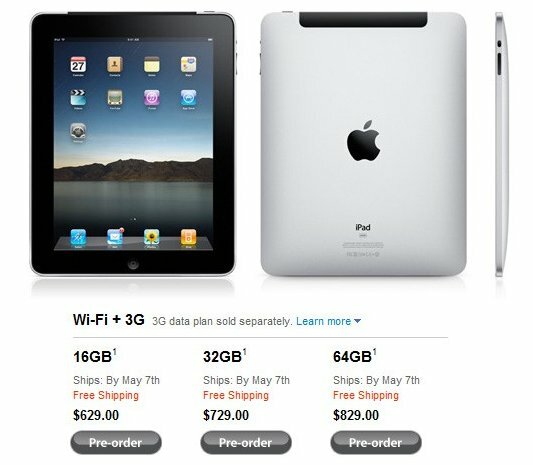 The iPad 3G will start shipping on 7 May 2010, 3 days ahead of the announcement on the availability for international pre-orders. Given that it’s running the Micro-Sim, don’t think it would have much impact in the local Hong Kong market. “Although we have delivered more than 500,000 iPads during its first week, demand is far higher than we predicted and will likely continue to exceed our supply over the next several weeks as more people see and touch an iPad. 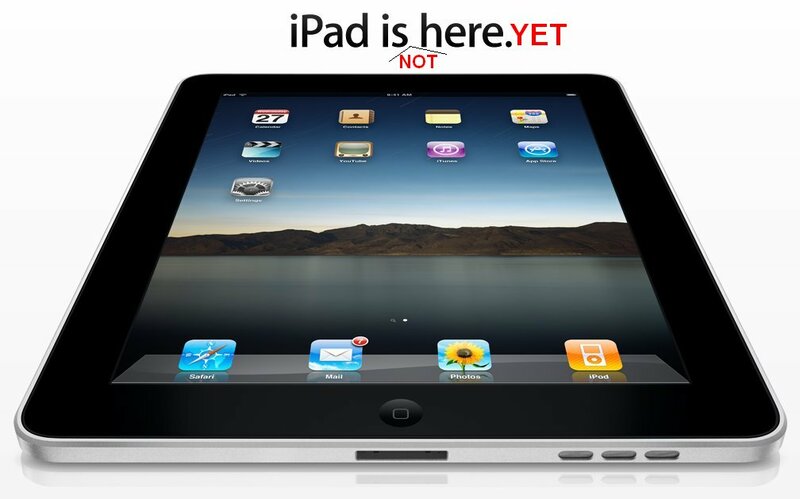 We have also taken a large number of pre-orders for iPad 3G models for delivery by the end of April. Guess we have to wait till 10 May 2010. New iPhone in June? Serious? Woot, I’m all ready, are you? The next Web Wednesday meet is this coming Wednesday, 21 April, at Volar, Basement, 38-44 D’Aguilar Street, Lan Kwai Fong, Central, Hong Kong. Given the renewed buzz about ebooks created by the recently launched iPad, I thought it only fitting to invite Greg Sung, the Founder and CEO of aNobii – “the neatest thing for booklovers since paper”, to speak at this month’s social mixer on Wednesday 21st April at Volar Bar & Club, Basement, 38-44 D’Aguilar Street, Lan Kwai Fong, Central, Hong Kong. Greg will explain how he has successfully tapped into people’s passion for reading to create a community of digital bookworms, who have shared over 19 million titles via personalised bookshelves. We will also discuss how aNobii is using barcordes and iPhones to make the reading and book ordering experience so much more convenient. As per usual, there’s a HK$100 entrance fee, including one complimentary drink. Web Wednesday’s lovely assistant, Vivian, will issue receipts if you need one. (For students, you can get in for HK$50 without free booze). Thereafter, all standard drinks will be charged at special happy hour prices. Web Wednesday will donate 10% of entrance fees to Oxfam Hong Kong. My new entry over at CNET Asia Community Blog is up. This week’s entry, “Hong Kong iPad Madness”. Click here for the full read. David Hobby, the founder of Strobist (http://www.strobist.blogspot.com/), gave us exclusive permission to screen part of his 10-hour long Strobist Lighting Seminar DVD (http://strobist.blogspot.com/2008/05/now-available-strobist-lighting-dvds.html). In this screening event, we will be screening the part on the Conference Room Headshot which is recommended by David Hobby for this screening. According to David, “that was designed as a progression through several basic techniques, and is a pretty good self-contained module”. At the screening, there will be a lucky draw where we will be giving away Rosco Cinegel Swatchbooks (http://www.bhphotovideo.com/c/product/45184-REG/Rosco_950SBCNG0103_Cinegel_Swatchbook.html) and Rosco Strobist Gel Pack (http://www.rosco.com/us/video/strobist.asp?CFID=138423&CFTOKEN=80974460). These gel packs are color gels specially for shoe-mount flashguns. In addition, Victor will also be displaying his collection on some of the Strobist equipment he acquired in the past years which includes products from HonlPhoto (http://www.honlphoto.com); Lumiquest (http://www.lumiquest.com/)…. etc.